Thank you to everyone that donated items as part of Gregson Green’s Gathering Goodwill Gifts (Santa’s Sleigh trail) for the foodbank collection – we received over 3 tons of donations! Donations were dropped off on Sunday 23rd December 2018 at Calvary Christian Fellowship in Lostock Hall and Home-Start Central Lancashire in Chorley. We also received over £300 in monetary donations and that was used to purchase items for the Salvation Army, Preston (see the trolly full of tins photo that went to them!). Your generosity is astounding and what a difference these items will have made to people during the festive season and beyond. Thank you to all the local businesses and organisations that were donation drop off points (there were so many of you! 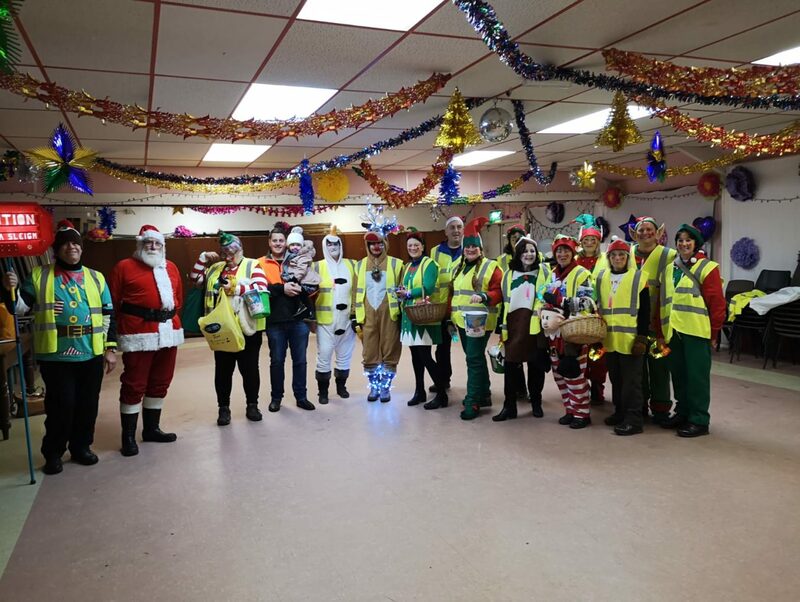 ), those that donated services, skills, time and items for the trail, to Santa of course, his elves and the wonderful Emily J Clark (aka Elsa) and to all volunteers helping on the trail. We couldn’t have done this without your support.